Our adoption agency has a list of books that they recommend we read. In addition, we’ve found others through Amazon searches or recommendations by people who are in our training group with the agency. Here’s a list of the books that we’re reading, in addition to the recommended books. “The Unofficial Guide to Adoptive Parenting”, by Sally Donovan. This is an excellent book by the author of the book referenced above. Really well done, chock full of information. I’ll be posting a full review of this book shortly. Hubby found it useful and very informative, but felt there were a few too many expletives! He particularly noted the chapter on siblings, as there isn’t much info out there on adopting siblings. 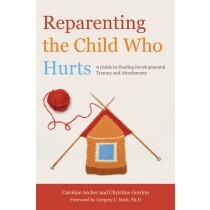 “Reparenting the Child Who Hurts”, by Caroline Archer and Christine Gordon. This is another recent book, published in 2013. I started reading this book but have struggled to get through it, possibly because I have it in a digital version and I tried to read it on my phone. This book has very good reviews, so at some point I’ll give it another go. There is a chapter on siblings in this book — that gives me even more motivation to plough through it in spite of how difficult I found it to read. 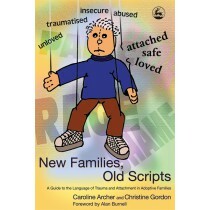 “New Families, Old Scripts” by Caroline Archer and Christine Gordon. This book was published in 2006, so it’s a little older than the others on this list. The title particularly appealed to me; I have seen over the course of my marriage that sometimes when Hubby and I argue, it’s as if we were following a script. That is, the argument has the same structure and often the same source. Over the past few years we’ve made huge strides and have gotten out of this awful habit. But it made the book appealing to me. Many of these books, and some on my original reading list, were published by Jessica Kingsley Publishers. They are a small publisher who publish “accessible professional and academic books in the social and behavioural sciences.” They have a lot of books on adoption and it looks like you can buy them directly from the publisher. 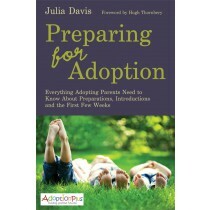 Here’s a list of adoption books. 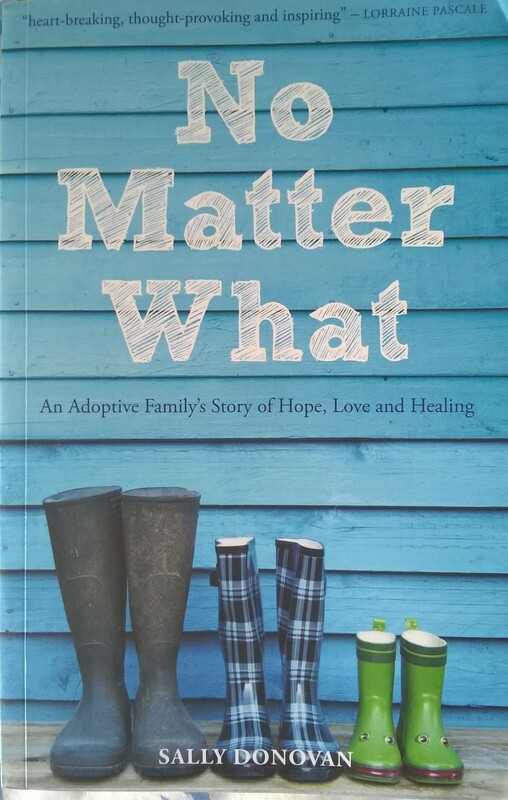 “Keeping your Adoptive Family Strong”, by Gregory C. Keck and L. Gianforte. 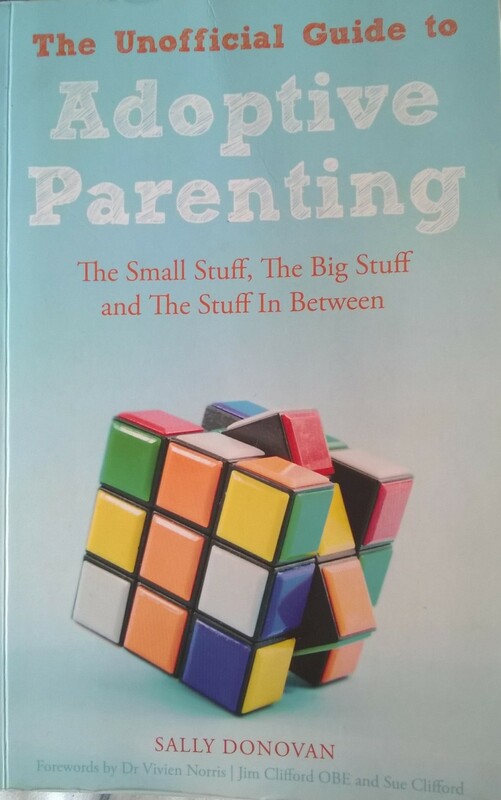 “Games and Activities for Attaching with your Child”, by Deborah D. Gray and Megan Clarke. “Building Self-Esteem in Children who are Adopted or Fostered”, by Dr Sue Cornbluth. “Using Stories to Build Bridges with Traumatized Children”, by Kim S. Golding. “Attaching through Love, Hugs and Play”, by Deborah D. Gray. There are also many books for children who have been adopted. I’ve seen a few that I think would be useful to have when our children move in with us. But I’ll leave that list for another time.